Negligent Security? 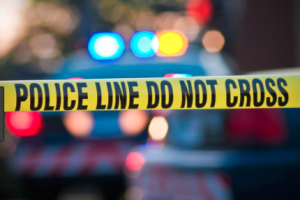 Adrian Carpenter, Danette Hazel Mae France, Jermaine Lamont May Jr., Jimmie Lereja Manns, Christopher Dejuan Davis, and Lauren Ashley Stafford Injured in Shooting Outside Winston-Salem Nightclub. Could the shooting outside a Winston-Salem nightclub have been prevented and are justice and compensation available to the victims? 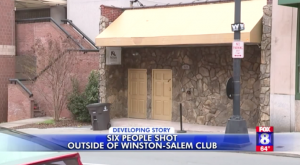 Gunfire erupted at a Winston-Salem, North Carolina nightclub early Sunday morning, April 7, 2019, leaving 6 people injured. MyFox8.com is reporting, “[o]fficers were called to NOVA Lounge shortly after 1:30 a.m. Sunday, saying that a disturbance led up to the shooting.” According to JournalNow.com, “[p]olice found three victims of apparent gunshot wounds outside the club — Adrian Carpenter, 26, of Reynolds Forest Drive; Danette Hazel Mae France, 26, of Tully Square; and Jermaine Lamont May Jr., 26, of Tall Pines Court. They were taken by Forsyth County EMS to a local hospital.” While on the scene investigating “police learned of three more victims also suffering from gunshot wounds — Jimmie Lereja Manns, 24, of Village Creek Circle; Christopher Dejuan Davis, 32, of New Walkertown Road, and Lauren Ashley Stafford, 26, of Springhouse Farm Road. They were taken to local hospitals in personal vehicles.” All victims are recovering from their non life-threatening injuries according to the media outlets. Generally, property owners are required to protect all those legally on the premises from any foreseeable harm. Should the facts of this matter reveal that the property owners failed to provide adequate security to protect those on or around the premises, the victims may seek justice and elect to pursue legal claims for their injuries.